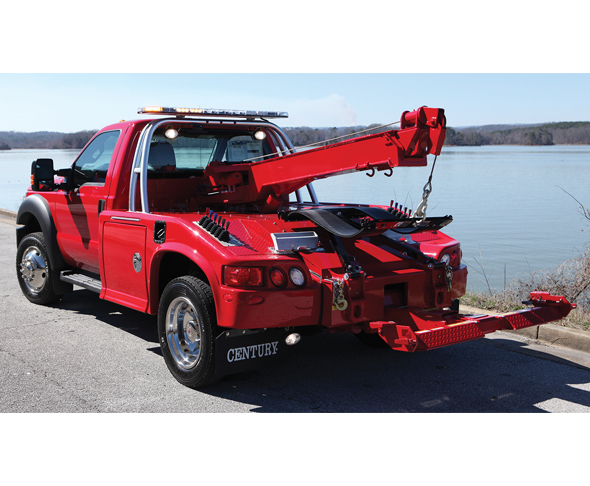 The Century® and Vulcan® light-duty units offer independent boom and wheel-lift functions, with adjustable-width modular body designs in carbon steel, aluminum or the popular composite with extra-large tool compartments. The available 8-, 10-, and 12-ton recovery booms are fabricated of high-yield steel to provide more strength with less weight. Call 800-292-0330 or visit MillerInd.com.